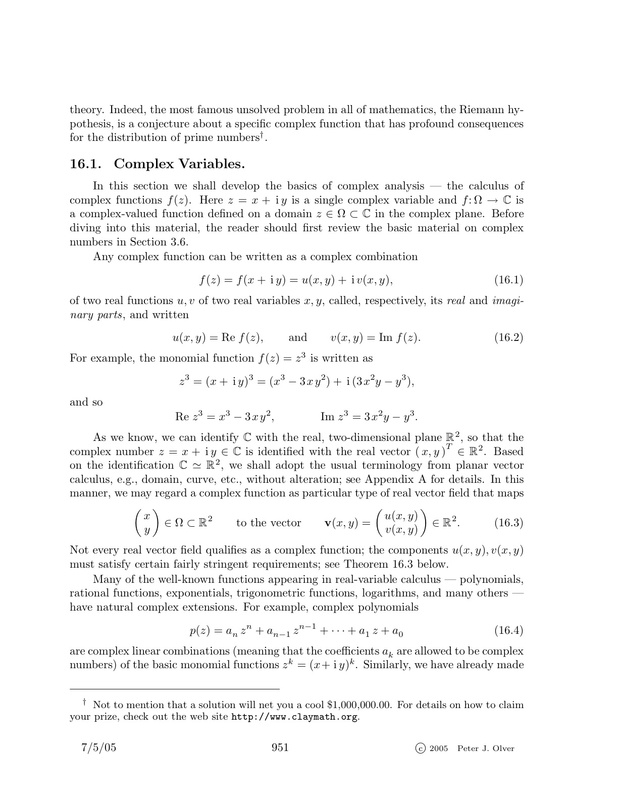 In 1999, I started posting a set of Lecture Notes on Applied Mathematics on my web site. A subset of these notes became an undergraduate text on Applied Linear Algebra, co-authored with my wife, Cheri Shakiban, which was published in 2006 by Prentice-Hall. Another subset became a second undergraduate textbook, Introduction to Partial Differential Equations, which was published in 2014 by Springer. 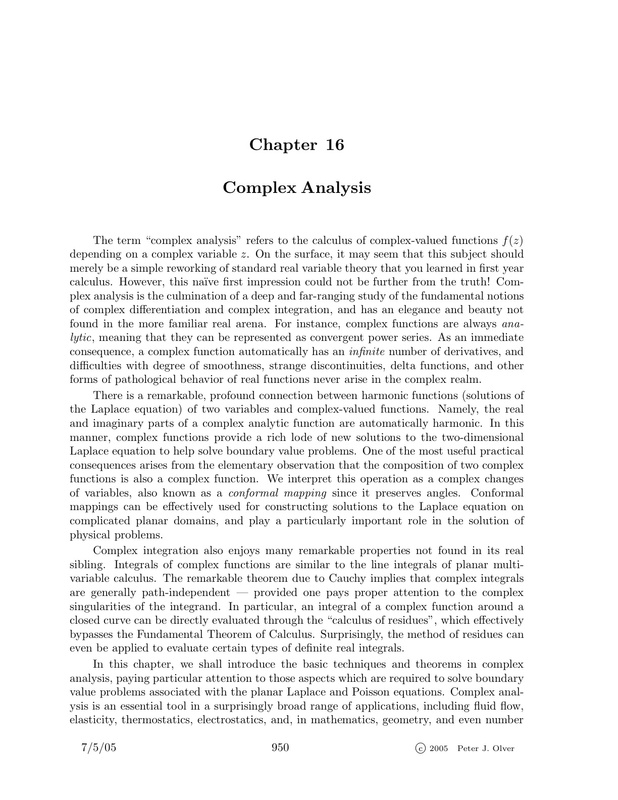 In 2006, both Alpha Science International, a publisher based in Oxford, UK, and Narosa Publishing House, based in India, published a book, entitled Complex Analysis with Vector Calculus, by T.M.J.A. Cooray, a mathematician employed by the University of Moratuwa, in Sri Lanka. I was completely unaware of this book at that time. In November, 2009, I received an email from William Trench, the Andrew G. Cowles Distinguished Professor Emeritus of Mathematics at Trinity University, alerting me to the fact that Mr. Cooray was in the process of plagiarizing material from Trench's text Introduction to Real Analysis for a forthcoming book on Engineering Mathematics with the same publishers. 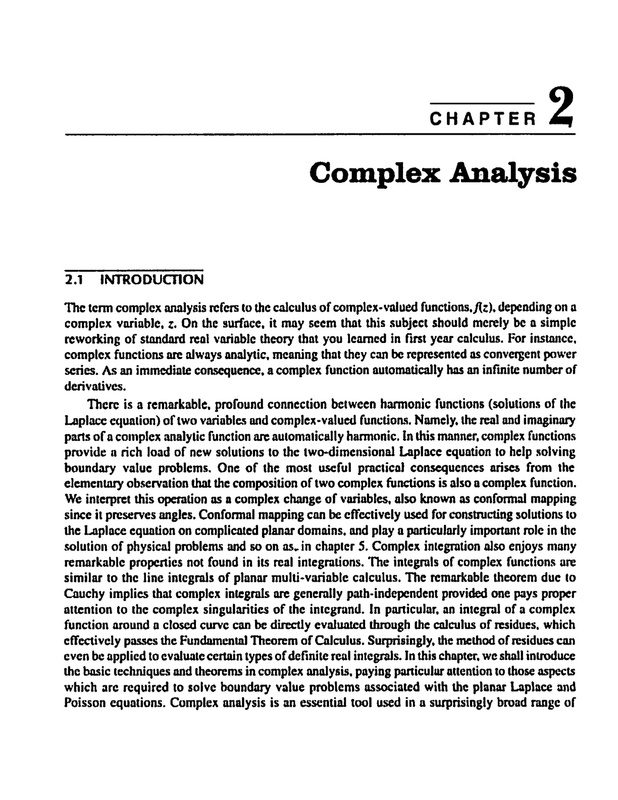 In addition, he wrote that Cooray's Complex Analysis with Vector Calculus book was in large part plagiarized from my Lecture Notes and an online text on Complex Analysis, first posted in 1999, by George Cain, a Professor of Mathematics at Georgia Tech. Examination of excerpts from Cooray's book confirmed the charges — large sections of his text were copied verbatim from the 2005 version of my notes. (Earlier versions of my notes, going back to 1999, can be found using the Wayback Machine.) Neither of us was contacted by Mr. Cooray nor the publishers, either before or following publication of the book, nor was any permission to copy our copyrighted work implied or given to them. Acting on this situation, I retained Forsyth Simpson, an intellectual property law firm based in London, UK. Following our presentation of the evidence, Alpha Science and Narosa quickly admitted that Cooray's work was indeed plagiarized. They then agreed to cease sales, destroy all copies, and pay damages and legal fees. A copy of their letter can be found here. Since then, I wrote to the administration of the University of Moratuwa, and they subsequently responded that they were conducting their own investigation into this matter. However, despite further correspondence with them over the next couple of years, as of October 29, 2014, Mr. Cooray is apparently still employed by the University of Moratuwa. Plagiarism is, unfortunately, becoming an increasingly common problem in modern scientific research. An eye-opening and disturbing description of cases involving the Society for Industrial and Applied Mathematics (SIAM) can be found in an editorial written by my colleague, Doug Arnold, current President of SIAM, that appears in the December, 2009 issue of SIAM News. Here are the first two pages from Chapter 16 of the 2005 version of the Applied Math Lecture Notes by Peter J. Olver along with the first two pages from Chapter 2 of T.M.J.A. 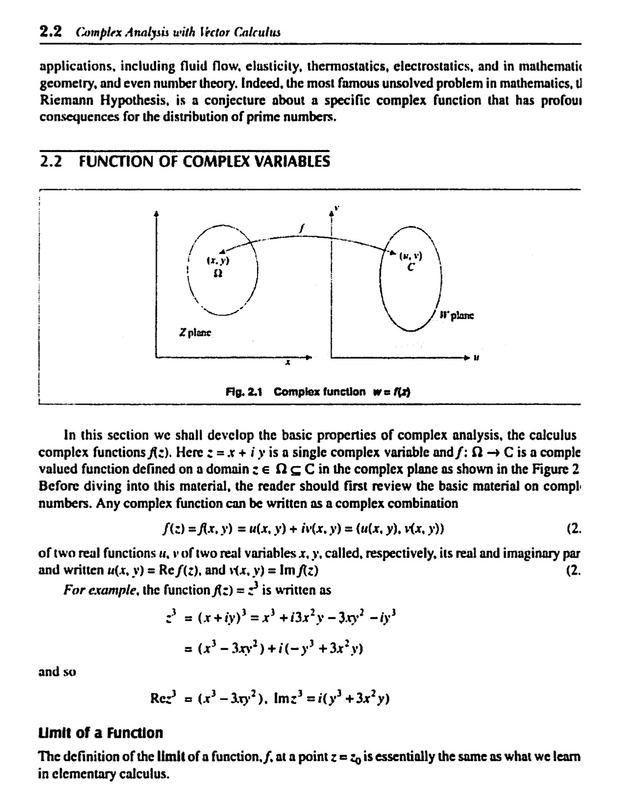 Cooray's "Complex Analysis with Vector Calculus", published in 2006. If your browser window is sufficiently wide, the pages will display side by side. Return to Peter Olver's home page.